Manchester Village, a stroll to the Equinox Resort & Spa or the Battenkill River, sits at the treetops on the 8th hole looking out on the Green Mountains spectacular views. 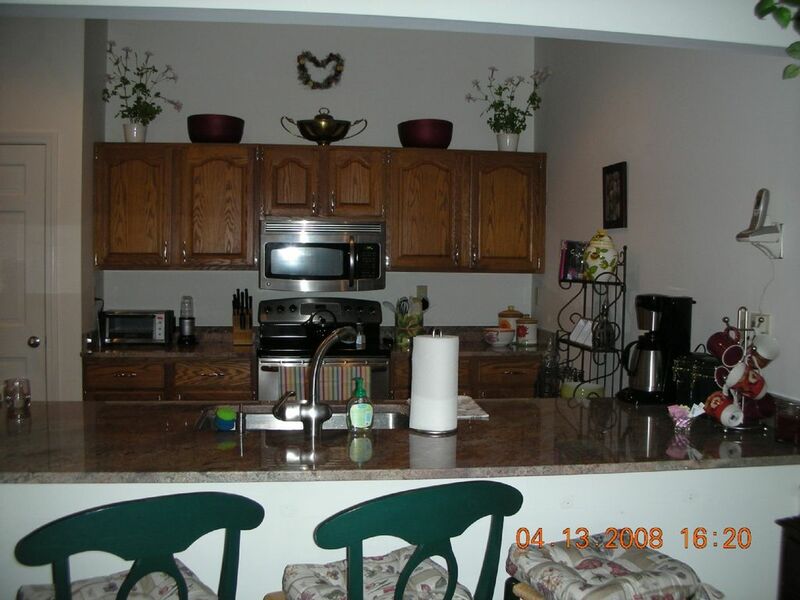 Newly renovated kitchen features granite breakfast counter, stainless appliances, washer/dryer. Open floor plan allows easy viewing if 42' flat screen TV above gas fireplace. Walk across parking to tennis and paddle courts or club house and pool, where you can BBQ and host a party. All conveniences of home are available in this well appointed beautifully decorated unit including high speed internet with print and fax available. Enjoy all Southern VT has to offer during the summer including equestrian show in East Dorset! I currently live in Delray Beach, FL. We enjoyed our weekend home for many years as my daughter skied, snowboarded, and competed at the Summer Equestrian Festival. She is now a sophomore at Vanderbilt University. I first began skiing in the Manchester area during my early career on Wall Street. I purchased my home as a potential summer retirement home that we were able to use in the interim. It was an easy 3 and 1/2 hour drive from our NJ home. My husband enjoyed the convenience of being on the 8th hole of the Equinox's golf course. The easy access to Bromley and Stratton during the winter months allowed my daughter to learn to ski and snowboard as a child. The convenient location to shopping and wonderful restaurants made this home particularly enjoyable. The upside down feature allows for fabulous views from the deck or living room wall of windows, with or without the fireplace roaring or snow capped mountains. The beautiful Green Mountains feel as though they are within reach! One zone air conditioning controlled by the thermostat at the top of the stairs. 5 zone boiler, downstairs hallway, first floor guest bedroom, first floor master, top of the stairs living area and 2nd floor bedroom. HE front load wash machine, please use only a small amount of HE detergent, as the water is very soft. Gas fireplace. Pilot will need to be ignited . Security code available at the townhome. As the water is very soft, please use only a Teaspoon of powder dishwasher detergent. GE range, 5 burner with warming drawer- temperature up to 400 degrees for extra baking space. Basic condiments, please feel free to use, however, replace or leave a note when something is finished. Goose neck of reverse osmosis water provides both cold and hot water. No more carrying cases of water needed! In each bedroom and living area. Set on the 8th hole of the Equinox Golf Course. Over looks the Green Mountains for a beautiful view summer or winter. Weekly linen change and cleaning available for long term stays. Utilities extra for long term stays. Utilities Included for short term get away. $175 cleaning fee upon departure .